A very successful but sombre evening as Caroline Foster presented details of the Market Rasen men who took part and paid the utimate cost in this tragic battle. The evening raised a total of £61 and ALL proceeds have been donated to the British Legion. We follow with an extract from the presentation. Born in Market Rasen in 1893, he was a sawyer in Nova Scotia Woods when he enlisted, his family living in Willingham Road. He was promoted to L/Cpl. He was 23 when he was killed in action (KiA) near La Boiselle. Born in 1889 in Market Rasen, he was a general labourer employed by Mr R Scupham when he enlisted in Grimsby. He was 27 when he was KiA near La Boiselle. Born in Market Rasen in 1897, he was living with his parents in Serpentine Street and was a butcher. He was reported as missing since the 1st July in August and it was not until April 1917 that it was officially reported that he had died on 1st July. He was 19 when he was KiA near La Boiselle. Born in Low Bardley in 1895, his records stated that he was a resident of Market Rasen, which is why he is on the list. He was 21 when he was KiA near Authuille. Born in Market Rasen in 1885, Charles moved around and changed jobs, he enlisted in Wakefield. His parents lived at 3 Prospect Place. August Market Rasen Mail listed him as missing, but he was killed on 1st July. He was 31 when he was KiA near Ovillers. The Battle of the Somme continued and …. Born in Market Rasen in 1889, He was married with two children and living in Dear Street when he enlisted in November 1914. In August 1915 he was wounded in both hands, once he had recovered he returned to the Front, where he died of his wounds on 3rd July near Fricourt. He was 27. Born in Thoresway in 1886, He enlisted in Spring 1915, He was living with his family in Jameson Bridge Street. He was wounded on 1st July and died of his wounds near Fricourt. He was 30 and left behind a wife and 3 young children. 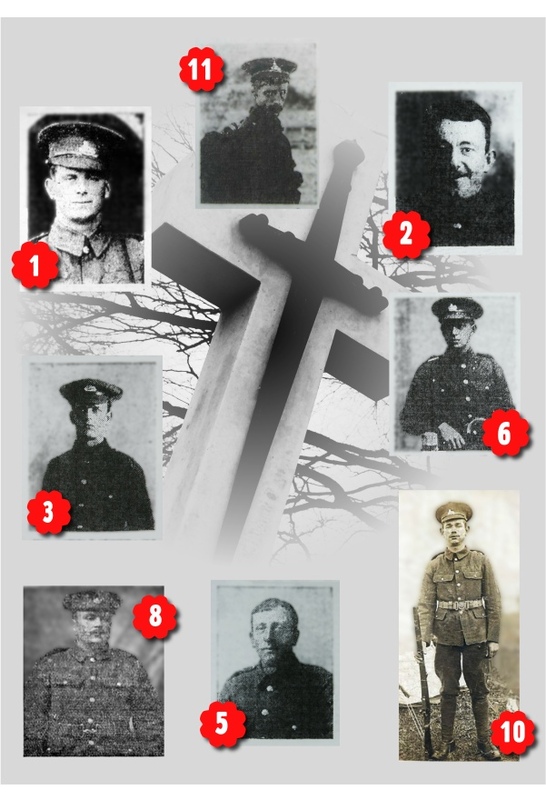 12 William V Sowby 20th Battalion Royal Fusiliers (3rd Public School) (No Pic available) Born in Clerkenwell, London in 1883, he is listed on Parish Church memorial because it is believed that he was a school teacher at the National School. He was 33 when he was KiA near Highwood. Intended to be a decisive breakthrough. The Battle of the Somme became known as the Somme offensive. It was one of the largest battles of the First World War and one of the bloodiest in history, on the first day alone the British suffered more than 57,000 casualties, therefore making it the worse day in the history of the British Army, and by the end of the battle, that lasted over four months, there was 1.5 million dead and wounded. The British planned to attack on a 15-mile front between Serre, north of the Ancre and Curlu, north of the Somme and the French divisions would attack a 13-mile front, south of the Somme, between Curlu and Perone. The Battle of the Somme was planned as a Joint-French and British operation. The French Commander-in-Chief, Joseph Joffre came up with the idea and it was accepted by General Sir Douglas Haig, the British Expeditionary Force Commander. In the first instance it was for territorial gain, but they hoped it would destroy German manpower. The battle began on Saturday 1st July 1916 with the British infantry attacking at 07.30 in the morning along a front of about 15 miles from the diversionary attack on Gommecourt village on the left wing and at Montbaun on the right wing. Over 100,000 British infantrymen started out from their assembled positions in the British forward lines at that time. Heavy casualties were suffered in many sectors of the British attack, with large numbers of men wounded or killed by German bullets before they could cross No Man’s land. It resulted in only a few small successful gains of ground north of the Albert-Bapaume road. South of this, and on the far right wing of the attack, the British achieved significant success on the front between Mametz and Maricourt. 13th November attack– on Beaumont and Y Ravine. 51st Highland Division took 7,000 prisoners. But due to the weather and mud the attack stopped and the Battle of the Somme was over. It officially ended on 18th November 1916. On 1st July, two days later than planned, at 7.28 am 17 mines were blown under German guns, it was believed that the mines and the week long bombardment would destroy the Enemy and the troops would just finish the job. Whistles are blown and 100,000 men go over the top – over 19,240 soldiers in the British Army died on that day. 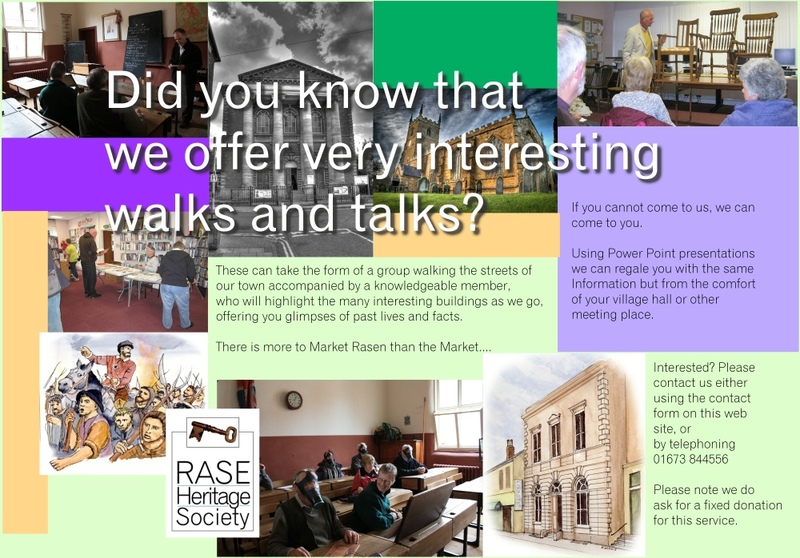 It is estimated 780 men from Lincolnshire…..The population of Lincolnshire in 1911 was 563,960 and eight from Market Rasen…..the population of Market Rasen in 1911 was 2,296. Three in the 10th Lincolnshire, three in the 8th Lincolnshire, one in the 11th Sherwood Foresters and one in the 9th York & Lancaster. Another 38,230 casualties…..not including the French soldiers, and other Nationalities.